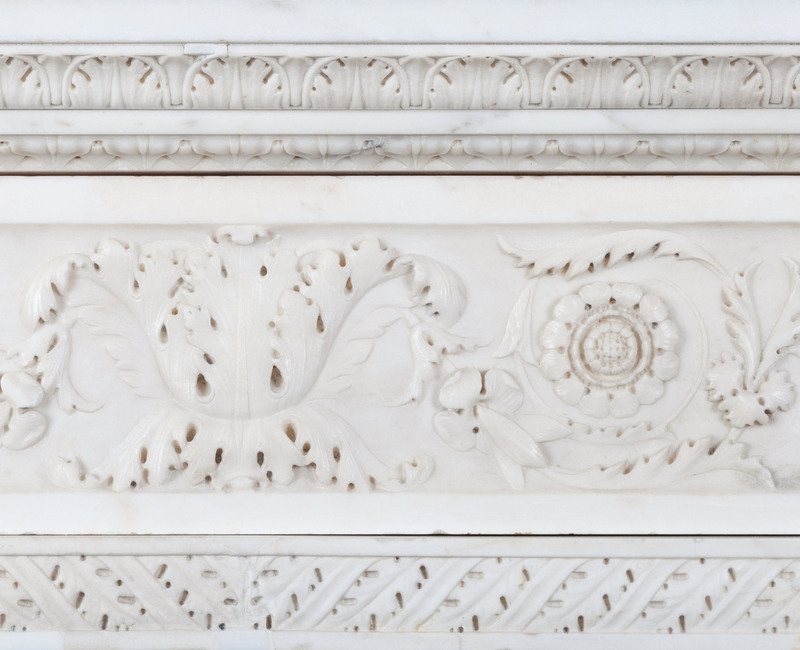 The pilasters and frieze are beautifully carved with foliate arabesques patterns. 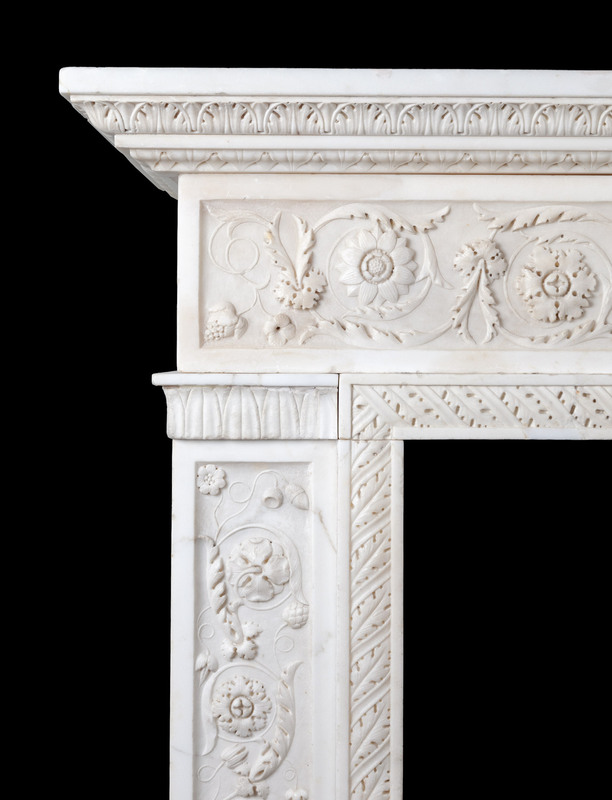 The cornice shelf, architrave, plinths and interior mouldings are all carved with various leaf-work motifs. 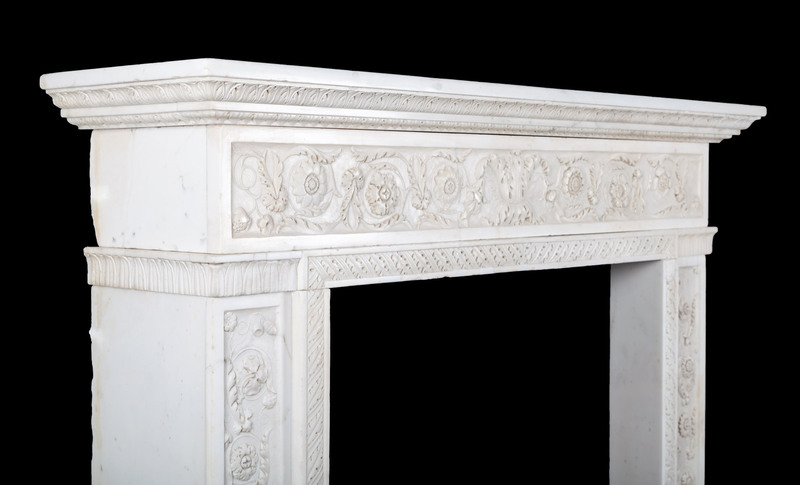 Produced in Rome, Italy approximately 200 years ago to the highest standard and from the best statuary marble. 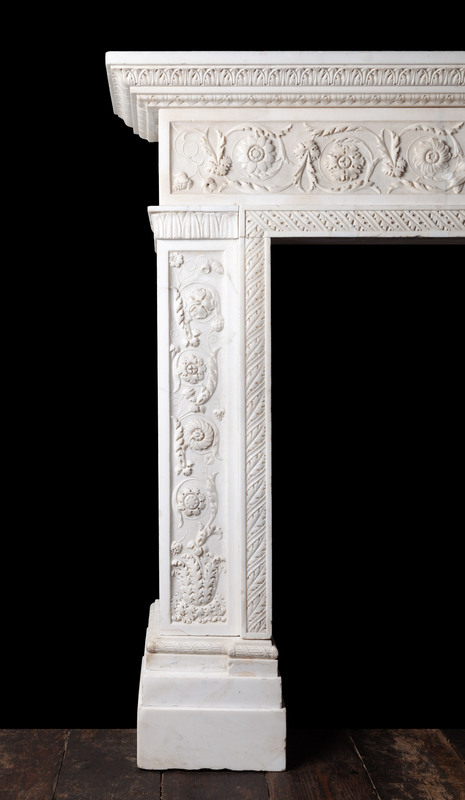 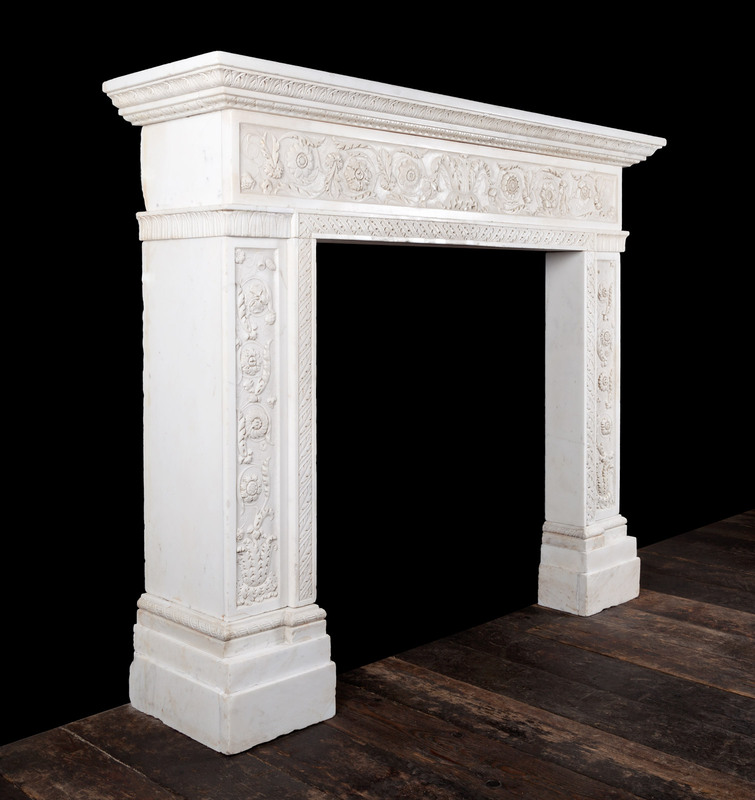 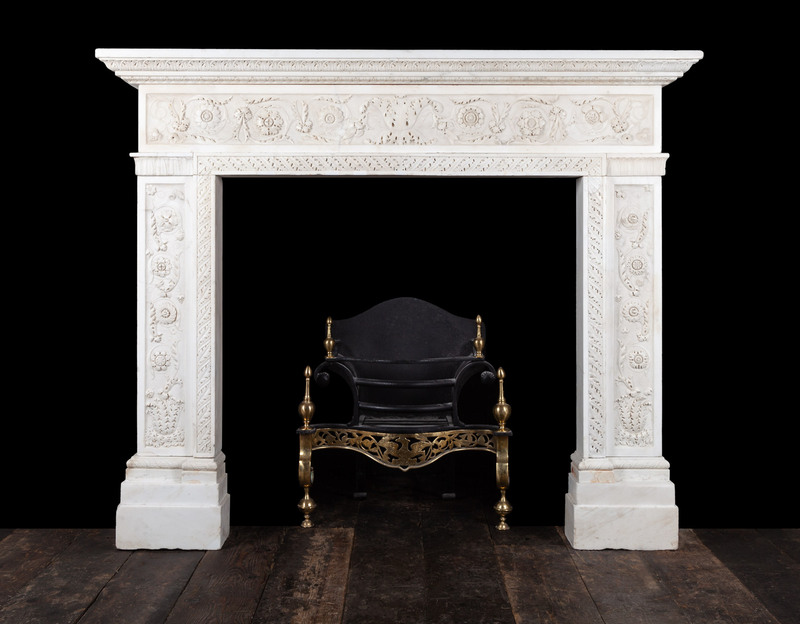 A similar fireplace can be seen in ‘The Palazzo Pitti Florence’, it was installed in 1820.